Heavier than I thought they would be. Still good quality. These are light and comfortable, but it's a good idea to order at least a half size larger than normal. I usually wear a 6.5-7 US women's M, but the 7M size was still too small. Thankfully, exchanging for the next half-size up was simple (and free). 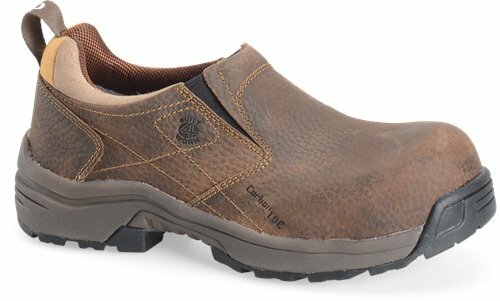 These are the best work shoes ever.These shoes are so lightweight and comfortable that I frequently wear them for personal use, something I have never done with my other work shoes over the past 13 years. I needed something that went from the office to the dirty work field easily, and these do the job. No issue in rain, hot, cold, or snow. I am glad I read other reviews first, so I knew to order a 1/2 size larger than normal. I am normally an 8 and the 8.5 are perfect. I will never buy another pair of brown workshoes that are not these. My only complaint is that they don't come in black, also.